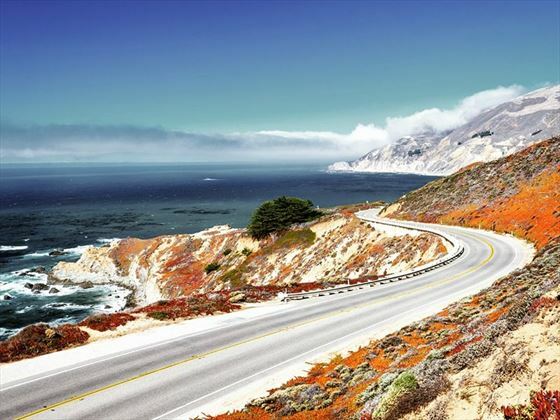 This magnificent self-drive holiday takes you from San Francisco to San Diego along the iconic Pacific Coast. 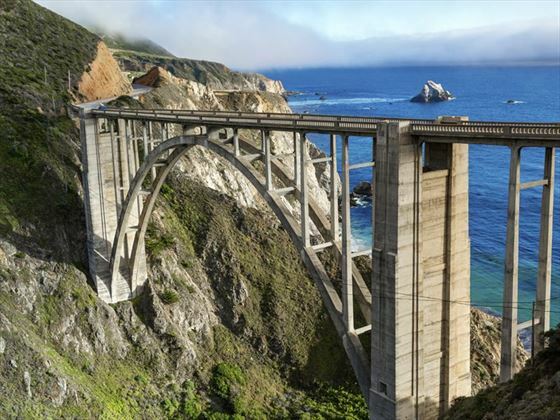 You will see spectacular seascapes, enjoy sampling the Californian wine, sunbathe & surf in sandy bays, explore buzzing cities & quaint seaside resorts. You can make this holiday as relaxing or as energetic as you wish ... bike, hike, kayak…or simply sit back and enjoy the views. We can recommend and book a whole range of experiences and excursions, whether it’s wine-tasting or whale-watching, Segway tour or foodie tour. This is a tailor-made itinerary so we can change the route, duration and hotels to suit you. Have a look at the "Accommodation" section below for our hotel recommendations depending on whether you're travelling as a family or a couple, or to suit your budget. These can be mixed and matched throughout your holiday. You could add-on another destination at the end of this holiday - Hawaii is an easy flight from West Coast USA, and a few nights on Waikiki Beach in a hotel such as the Royal Hawaiian Hotel Waikiki or Moana Surfrider would be a great end to your holiday. Or perhaps the bright lights of Las Vegas beckon - The Bellagio is a firm favourite of ours. 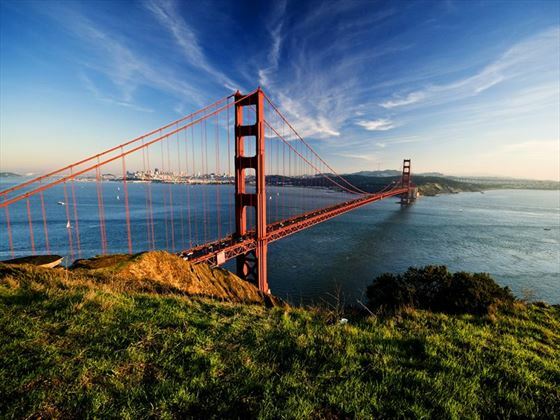 Fly to San Francisco Airport and transfer independently to your chosen hotel to check in and have a restful night before the start of your coastal adventure. 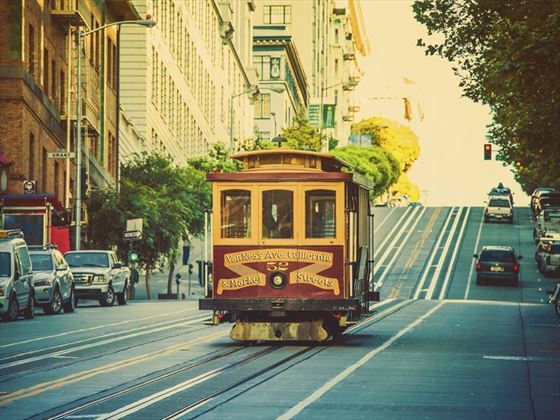 You could pick up your hire car at the airport but we don’t think you need the car until you’re ready to move on from San Francisco. A great way to get your bearings in any city is a flexible hop-on / hop-off bus tour, and we can book you some tickets to do just that. Combine that with the number one attraction of San Francisco – the prison island of Alcatraz. It’s essential to pre-book your ticket for this tour, as every day is a sell-out. This evening perhaps explore Chinatown, where you can feast on Cantonese pork filled buns, Peking duck and Barrack Obama’s favourite Dim Sum. The Golden Gate Bridge is perhaps the most iconic sight and what better way to take in the views than to take a bike ride over it. You can cycle over to Sausilito, a charming town full of quirky shops and boutiques, plus a picturesque waterfront and hundreds of quirky houseboats. But if cycling isn’t your thing, then there are plenty of other options – try out a Foodie Walking tour or choose a Segway tour of the neighbourhoods. We think the trams though are the best way to really experience San Francisco, with three lines running through the city. Buy a day pass for $21, work out your route and then sit back and enjoy the views. 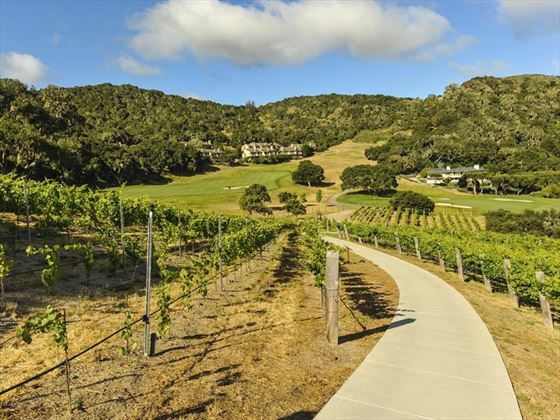 It might be tempting to spend the day just kicking back and admiring the spectacular views, but wine lovers are not going to want to miss a Monterey wine tour, golfers cannot turn their back on the 16 world-class golf courses in this area, and we can also recommend simply mooching around the pretty town of Carmel, where Clint Eastwood was once mayor. 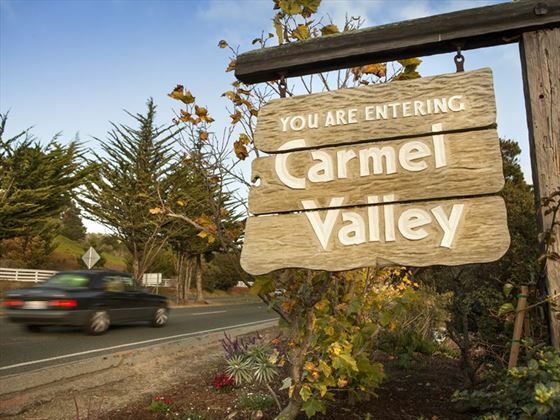 Here you can enjoy great views as you walk the Scenic Bluff Path which runs from surfers Carmel Beach to the nature reserve of Carmel River State Beach. 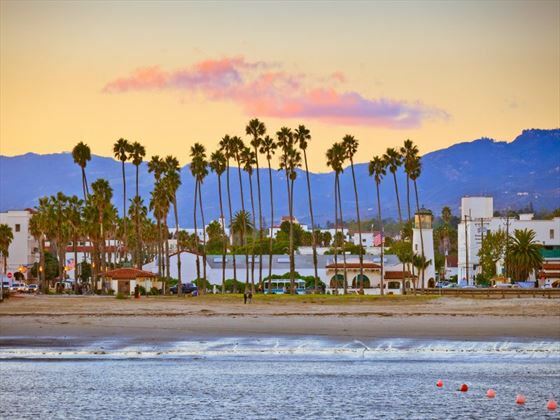 In Santa Barbara, described as the American Riviera, you will find Mediterranean-style white buildings with red-tile roofs, reflecting the city’s Spanish colonial heritage. 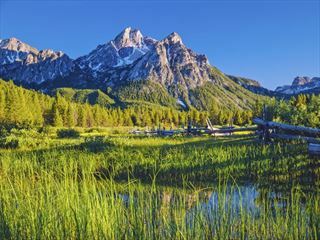 The Ynez Mountains provide a dramatic backdrop to this charming resort, with winding lanes flanked by little boutiques and bars offering local wines. Cycle along the waterfront at Stearns Wharf, critique the fish & chips fresh from the daily catch, try out paddle-boarding or a kayak trip. East Beach is perfect for families with gentle surf and soft sand, and if you’re here on a Sunday you can browse the local art show. Don’t be intimidated by the vast sprawl of LA – we’ll choose the best hotel for you and your LA experience. Plan your time wisely in this city, so that you can see as much as possible – we can help you book some fantastic tours and experiences. The classic tours are those of Warner Bros studios and Movie Stars homes, but we would also recommend a food tour such as “Sips of Old Hollywood” taking you along the “Walk of Fame” to soak up the atmosphere in iconic bars, speakeasies and mobster hangouts. 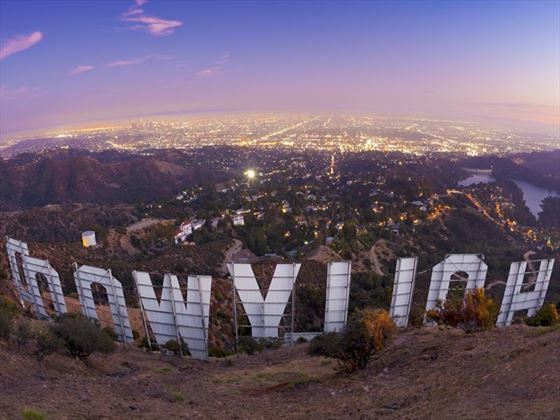 A full day to enjoy the City of Angels, so why not take a guided hike or a horse-ride through the Hollywood Hills. We can also recommend taking a tour of LA by bike or Segway, or for movie buffs we can arrange a behind the scenes tour of Universal Studios Hollywood. This evening why not book a dinner cruise on board a sleek yacht to sail along the Southern California coastline, or if you would like something edgier how about an ethnic neighbourhoods foodie tour. 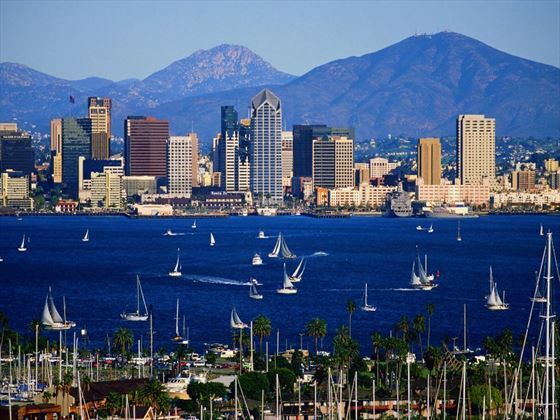 Today head further south to San Diego – known as America’s Finest City and well-loved for having a superb climate with year-round sunshine. There is so much to experience and enjoy in the San Diego area that you may want to book additional nights here to finish your holiday with a bang. Perhaps start with a Segway tour to get your bearings in this stunning coastal city. You can also take a land & sea tour by SEAL or jump into a dinky little GoCar to zip around the streets. We recommend you take a cruise of some sort during your stay, which could be a whale & dolphin watching boat ride or a champagne brunch cruise around the bay. Highly recommended is a visit to the MSS Midway, once the largest aircraft carrier in the world, this ship is now a fascinating museum with 60 exhibits and 29 aircraft. A Trolley Tour ticket is a good value way to get around the city, as you can hop-on and off at 11 different stops, which will take you into the evening so you can sample the cafes, bars and restaurants of the Old Town. You’ll have just a few more hours to soak up the sun and perfect your paddle-boarding technique, before taking the short drive to San Diego airport for your flight home. 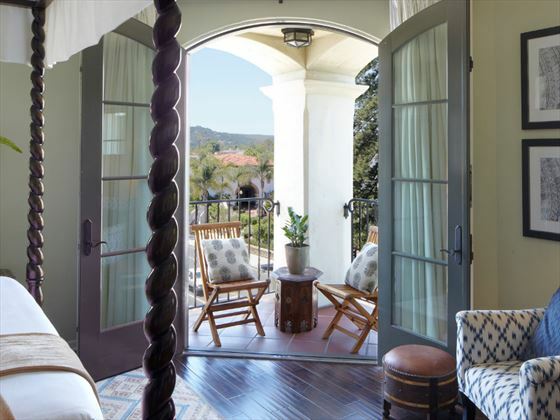 There’s no doubt that our favourite thing in this Kimpton hotel is the rooftop bar – the only one in Santa Barbara, stylishly designed with hand-painted tiles and elegant wrought iron detail, and panoramic views from the mountains to the sea. 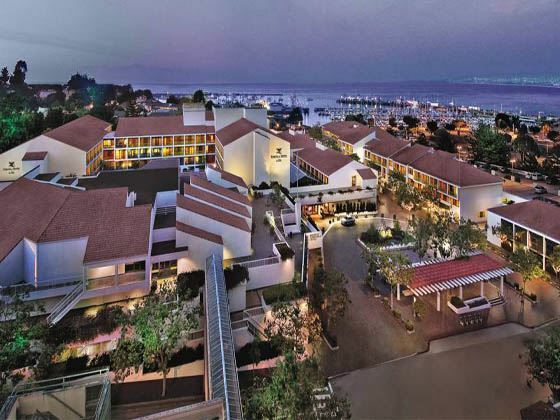 This boutique hotel is the perfect choice for a stay in Santa Barbara, located in the heart of this ocean-side city, where you will find Mediterranean-style white buildings with red-tile roofs, reflecting the city’s Spanish colonial heritage. 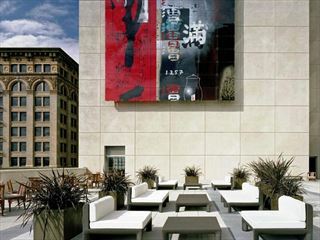 The restaurant, which also serves the rooftop pool, offers locally-sourced cuisine and a world-class wine list. What could be better than enjoying a glass of local wine with some seafood fresh from the ocean as the sun goes down. As with all Kimpton hotels, the guestrooms are stylish and comfortable, there is complimentary bike hire and yoga mats, and of course the celebrated, complimentary wine hour every evening. Hotel Solamar is a boutique hotel centred in one of San Diego’s most vibrant neighbourhoods and surrounded by an amazing collection of cultural and leisure attractions, just one block from PETCO Park (home of the San Diego Padres) and three blocks from the San Diego Convention centre. A celebration of sun and sea, Hotel Solamar is a reflection of its dynamic Gaslamp District location and shimmers with contemporary style and easy access to all the vibrant activity that San Diego has to offer.